Protest the auctioning-off of our social housing, an event for residents of all housing associations, private and council tenants. 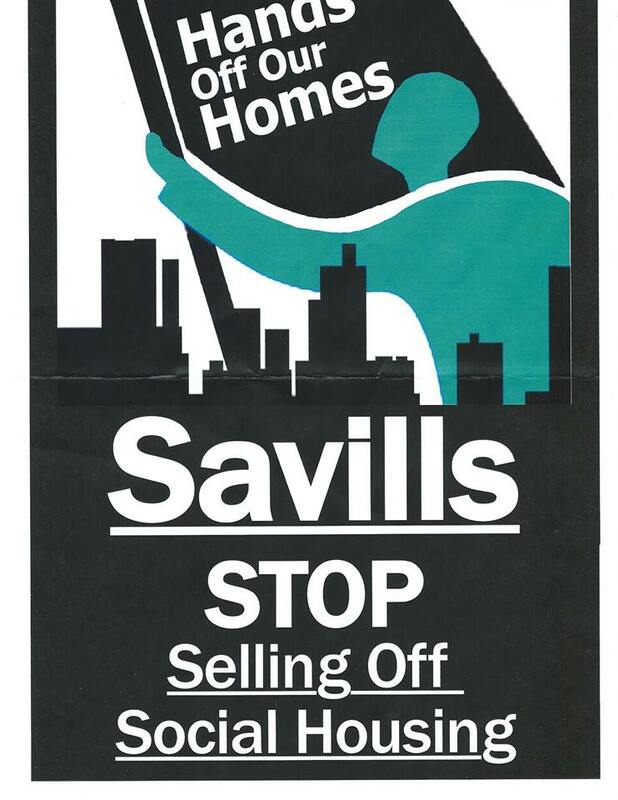 "Arch agents of social cleansing and government advisors Savills are auctioning-off desperately needed social housing. With record homelessness, over 300,000 Londoners languishing on housing waiting lists and many more condemned to over-priced, under-regulated private renting, the city needs every genuinely affordable rented home it has. At a recent Savills’ auction over 80% of the properties sold were social housing stock. It's a scandal that Savills are holding an auction to sell-off scores of such homes. It's an additional scandal that, in many cases, they are acting on behalf of housing associations, so called "social landlords"." ListenNHH! is not associated with the NHHG.